Almost There | Just Shooting Memories! Sunrise and sunset are two favorite times for me to take photos, along with almost every other photographer out there. The reason is the quality of light. That leads to all kinds of interesting discussions. I got this shot along one of my country roads around the beginning of that magical time around sunset. 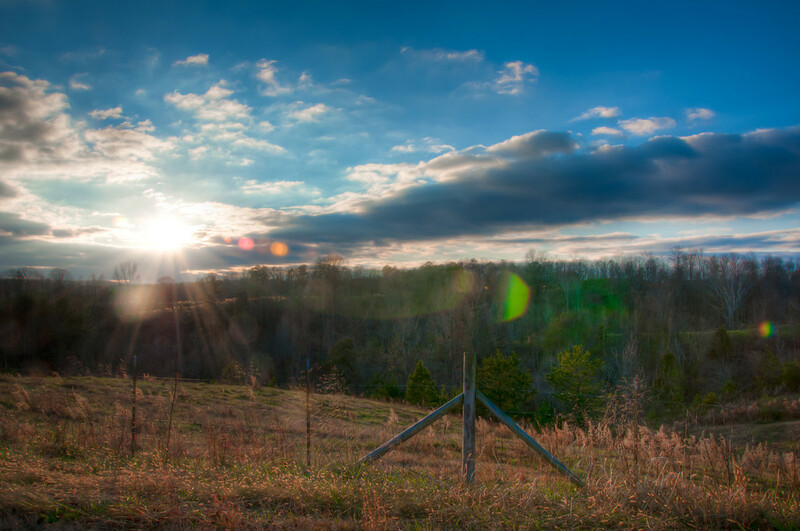 One of the best things about shooting HDR is the ability to shoot into the sun and still get a good overall exposure. It also can give you some really good lens flare effects.